Hotel Galvez & Spa®, A Wyndham Grand® Hotel, invites couples to relive the joy and excitement of their wedding day and renew their commitment to each other during its annual Galvez Wedding Vow Renewal on Saturday, June 11, 2016. The ceremony begins at 10:00 a.m. on hotel grounds and is officiated by Justice of the Peace Jim Schweitzer. Following the ceremony, a small reception is hosted by the hotel. 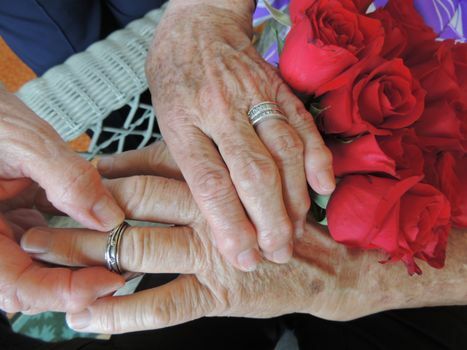 Couples have the option to join in the wedding vow renewal at no cost and receive a courtesy bouquet and boutonniere for the ceremony. Professional photos are available for purchase. Hotel Galvez & Spa is also offering The Hotel Galvez Wedding Vow Renewal package, which includes participation in the wedding vow renewal ceremony on Saturday morning and reception for participating couples, as well as a room for two, champagne accompanied by chocolate covered strawberries upon arrival and rose petals on the bed as part of the hotel’s turndown service. 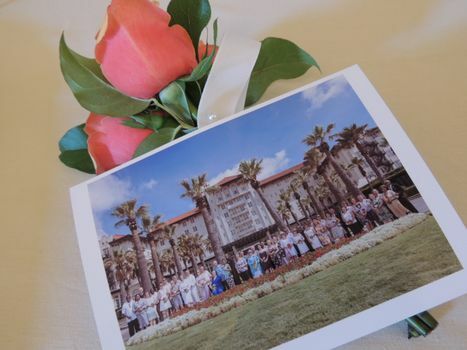 Hotel Galvez invites couples to revew wedding vows during an annual ceremony in June. 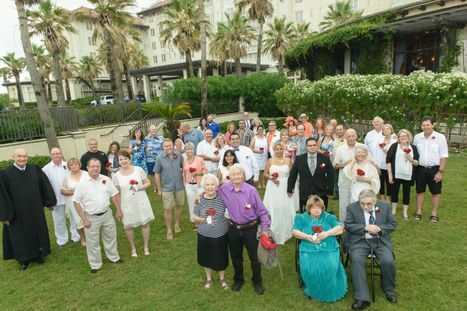 More than 30 couples renewed their wedding vows at Hotel Galvez during an annual ceremony in June 2015. Hotel Galvez will host its annual ceremony on Saturday, June 11, 2016 and couples are invited to participate.